Luke Walton, LA Lakers head coach, has his hands full with his second year of being the head coach of one of the biggest franchises in the NBA and new star rookie Lonzo Ball. 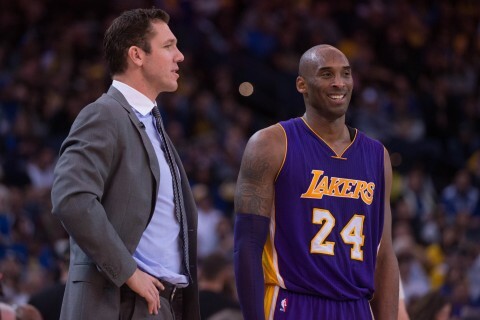 TMZ Sports caught up with Walton and asked if Ball can be the next Kobe Bryant, his former teammate who he won 2 championship rings with. Bryant’s list of accomplishments is pretty tough to match: 5 NBA championships, 2 NBA Finals MVP, 18t-ime All Star and 2007-08 league MVP.